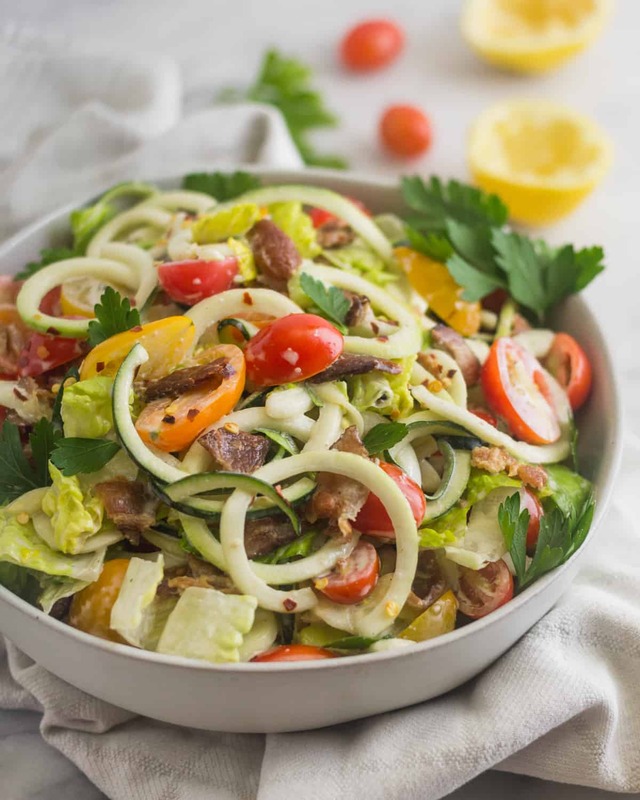 A classic twist on your favorite BLT flavors, this paleo BLT Zucchini Noodle Pasta Salad ditches the pasta/bread and subs zucchini noodles for a easy, healthy, and low carb salad that makes a great summer/BBQ potluck dish or easy weeknight side. 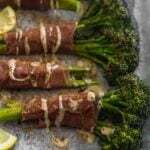 Gluten & grain free, dairy free, paleo, and Whole30 approved! 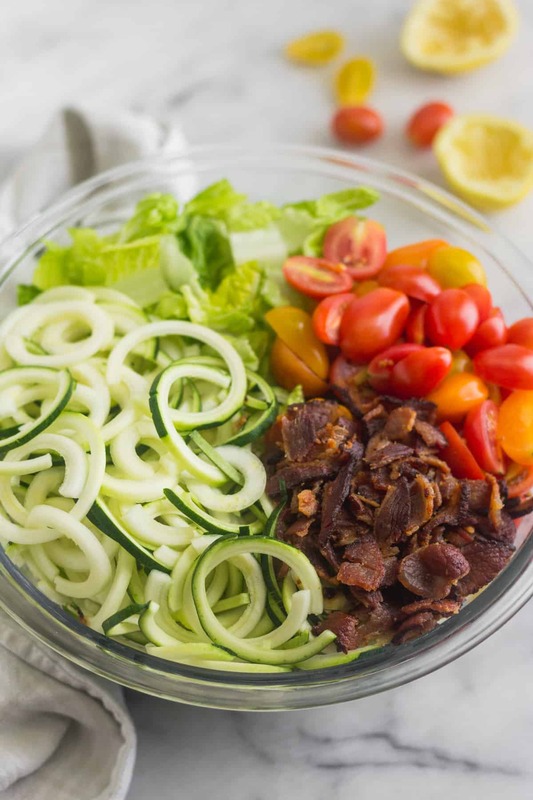 I’m back again with another easy BLT pasta salad recipe! 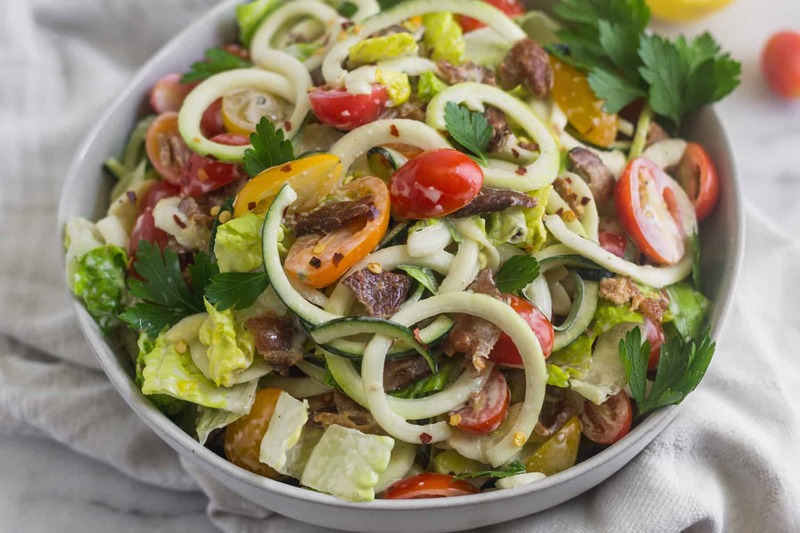 If you missed it, last week I shared a BLT avocado pasta salad. 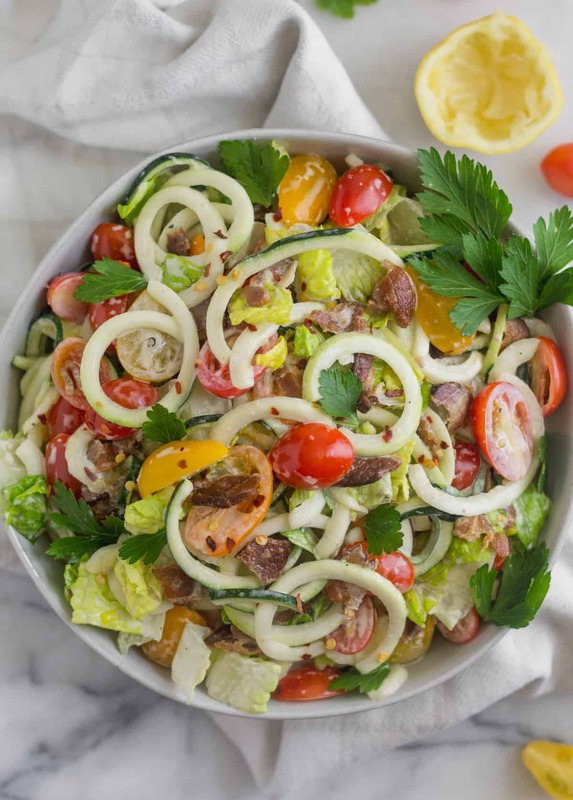 This week I’m skipping the pasta and using zucchini noodles instead! 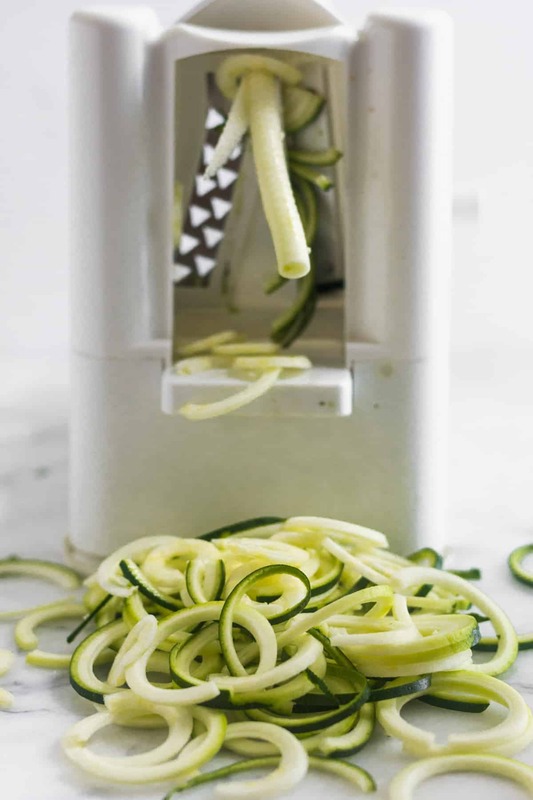 Zucchini noodles, or zoodles as some would say, make a great alternative for your classic pasta. You can make them in all different kinds of shapes and sizes for pretty much every recipe. The first step is to cook the bacon. 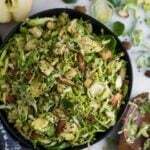 I choose to pan fry it and it is an easy way when you don’t have to cook anything else. But you can cook it however way you want. The key is you just want nice and crispy bacon – about 4-5 minutes per side over medium heat usually does the trick. Once the bacon is done, you let it rest. Now the fun part – spiraling the zucchini. 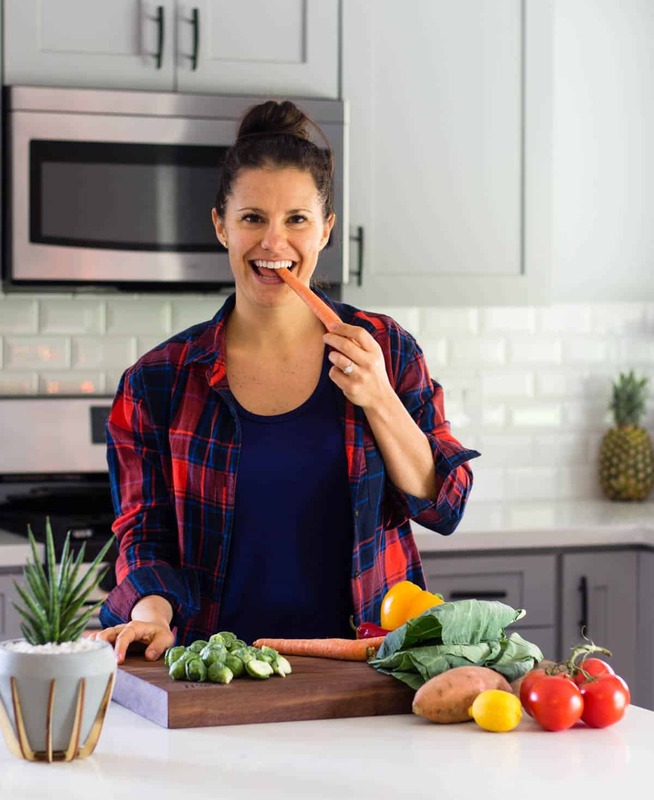 To get little half moon shapes that are perfect for bite size pieces, the key is to cut a slit lengthwise halfway through the zucchini. This will create the thick little half circles when you run it through with the thicker noodle attachment. 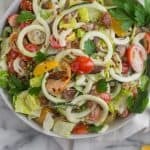 Other than that, you just need to make the dressing (I love this mayo for taste and convenience factor), add all the ingredients, and mix it all up! 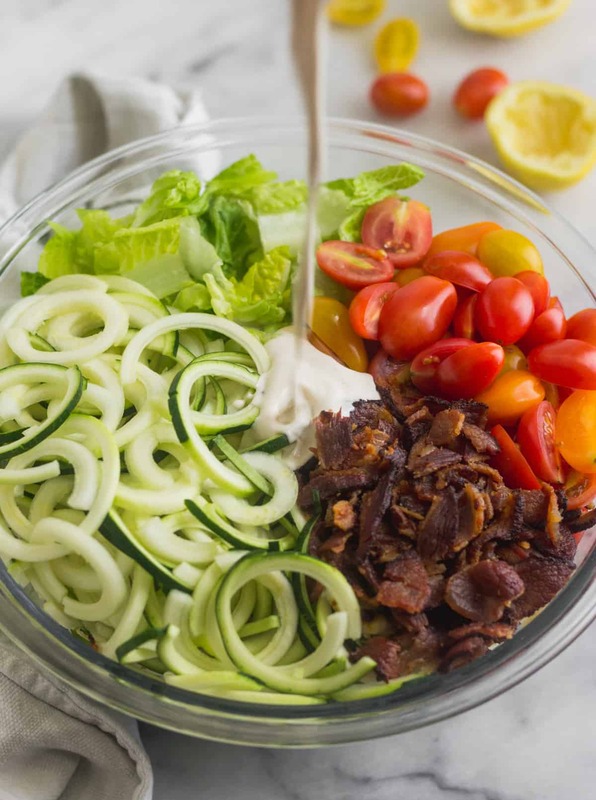 This paleo BLT zucchini noodle pasta salad will become your new summer pasta salad go-to. 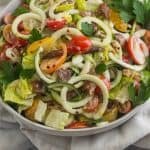 It makes the perfect easy BBQ/potluck dish that comes together in 20 minutes and everyone will love! 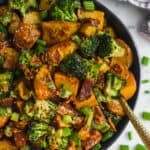 You can also make it for a quick side dish for a weeknight dinner or even meal prep it on Sunday to have throughout the week. 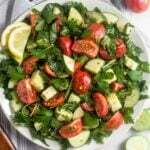 Just note – the zucchini will release a little bit of water as time goes on, so it may water down the dressing depending on how long you keep it. 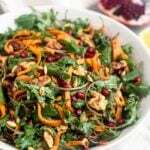 If making it for a party, make it a little before you head out or top with dressing right before you serve.